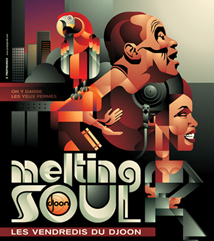 5h45 session recorded at Djoon in PARIS during the “Melting Soul Presents Soul Spektrum” party. Thanks to all who mentionned me that mix. Killer track after Peven Everett – Stuck. Really need this track name. Bozman may be busy with things, so wanted to pass along this set in case he can’t post it up: Theo Parrish at Taico Club Kawasaki in Tokyo, Japan, on September 19, 2009. It’s a live crowd recording, so you’ll hear people talking sometimes. Thanks as always to the fullbozman.com community and to Mr. Bozman! Thank you for the tip Cond! There says: The file status can only be queried by premium users – Purchase a premium account now! Do u know somewhere else where to be downloaded? God Bless You Bozman! plz drop me an email. Anyone know the song starting at 2:42:30? anyone know the first and second track in PART 2 of Theos mix??? Just found this post looking for a reference…I’m the dj of the first hour.It was such an honor to open the night for such a talent !!!! Thx to the ones with kind words. I also play every two months in Hamburg. What label or release is this on? Great tune. Can someone please ID the vocal track between “Synthetic Flemm” and “Oasis” by Omar S? the track is trio 3d – tamanco no samba which starts at 3rd minute 5th second of this recording.